Earth Science Week: Launch of the 100 Great Geosites list! Happy Earth Science Week! 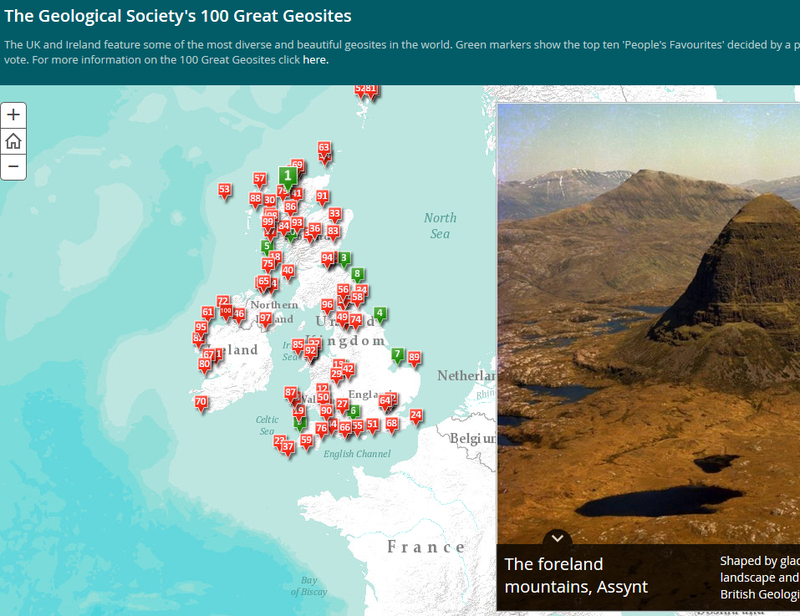 We’re thrilled to launch our list of 100 Great UK and Ireland Geosites, to mark this year’s Earth Science Week. It’s the culmination of a seven month project, which saw over 400 public nominations for your favourite geosites. Split into 10 categories, the list reflects the incredible geodiversity of the UK & Ireland, and how it links to our wider history. Events are taking place all week to celebrate Earth Science Week, and there’s lots of ways to join in. Join a geowalk, attend a talk, visit your local museum or some of the 100 Great Geosite nominations near you, with our geobingo challenge! We’d love to hear from you during the week – get in touch with us on twitter using #ESW14, share your photos or videos, and let us know how you’re celebrating. Tags: 100geosites, activities, communication, earth science week, education, environment, geography, geology, geoscientist, maps, outreach. Bookmark the permalink. Previous post ← Ask a Geologist LIVE!